Pokemon Let’s Go: Pikachu & Eevee are mainly remakes of Pokemon Yellow and as a result the original Pokemon are what is featured in the video game. However, there is a brand new Pokemon added into the franchise known as Meltan. If you want to catch them all then you want to catch the latest addition. This is a steel-type Mythical Pokemon which can evolve into Melmetal. There is still not a ton of information on the Pokemon yet but as far as appearance the character is silver with a golden hexagon head. 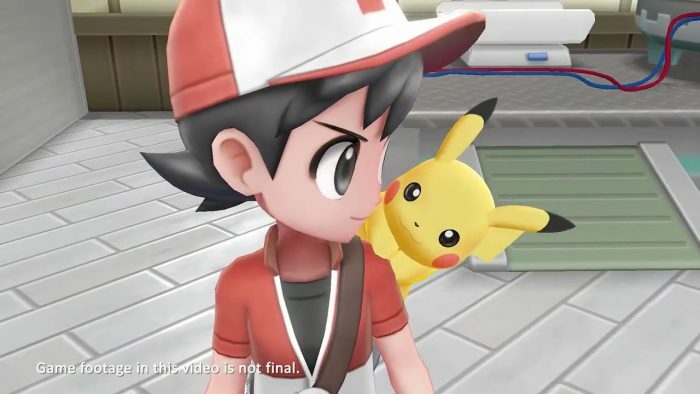 In likely an attempt to further connect the two video games, Nintendo is gifting players a mystery box for those who transfer a pokemon from their Pokemon Go application to the Pokemon Let’s Go: Pikachu & Eevee video games. As a result, you will need a smartphone with Pokemon Go before you are able to receive Meltan. Being a brand new Pokemon, it’s looking like the only way to get the game is through the Pokemon Go app for now. The first step is to have Pokemon Go installed on your smartphone. The application is free and you can get a few Pokemon with relative ease. Once you have a few Pokemon in your collection then you can connect it to the Nintendo Switch Pokemon Let’s Go: Pikachu & Eevee. Once you are connected and in the Go Park in Pokemon Let’s Go: Pikachu & Eevee then you will want to transfer over some Pokemon. Note: Once you transfer over Pokemon you cannot send it back to your Pokemon Go account so make sure you don’t send anything over that you would like to continue using in Pokemon Go. When you transfer over some Pokemon you will be rewarded with a Mystery Box in the Pokemon Go application. This can be laid down wherever you’re located and will spawn Meltan Pokemon in your location. You will have thirty minutes to capture Melta from Pokemon Go so make sure you have the resources to catch it. When you have enough Melta, you can transfer over one into the Pokemon Let’s Go: Pikachu & Eevee.